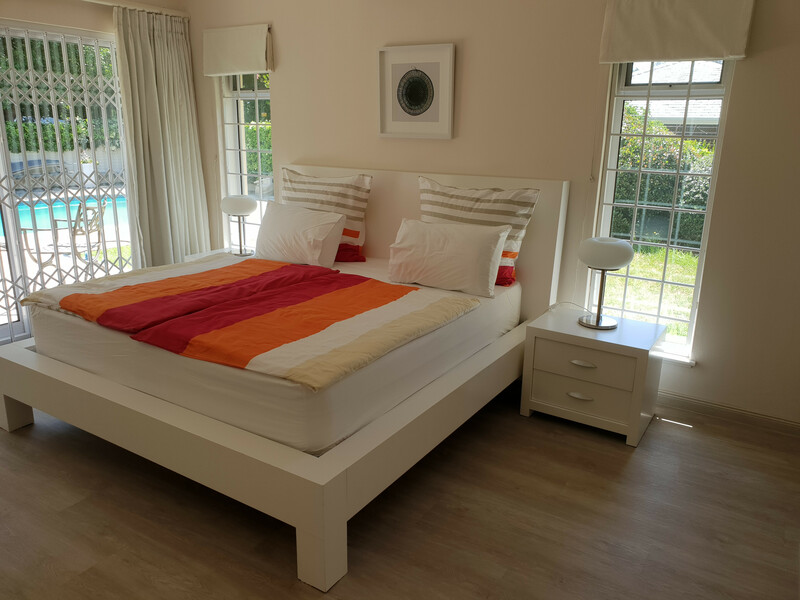 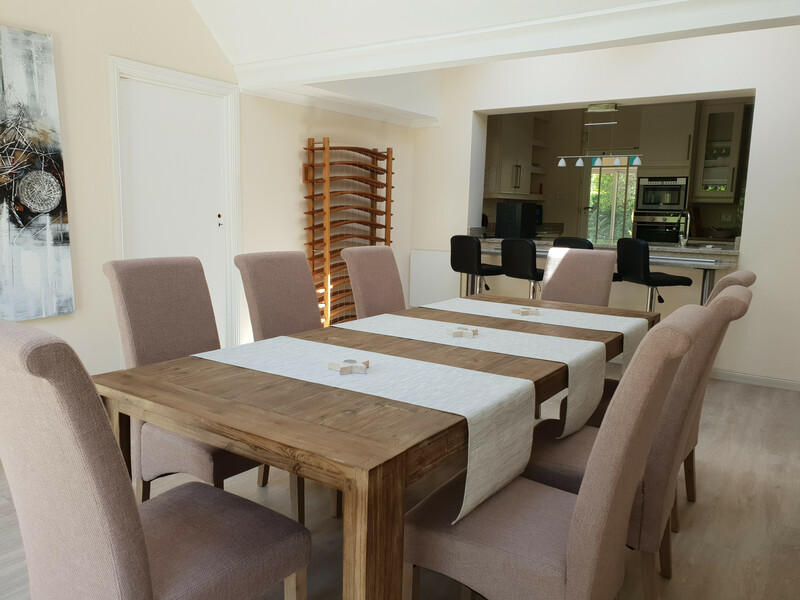 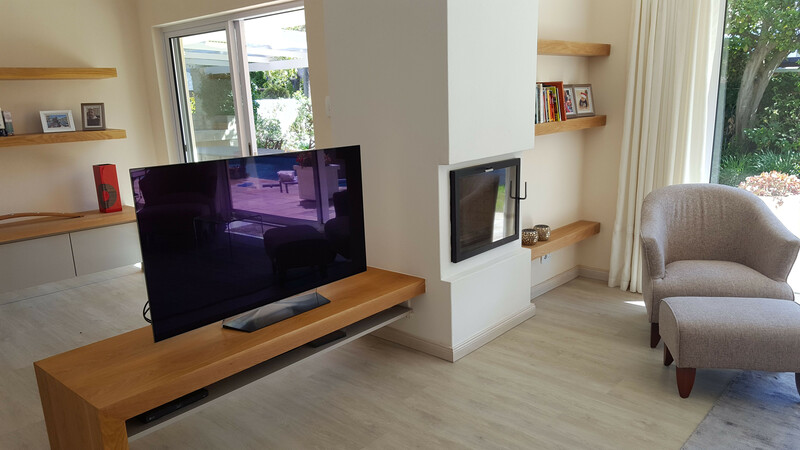 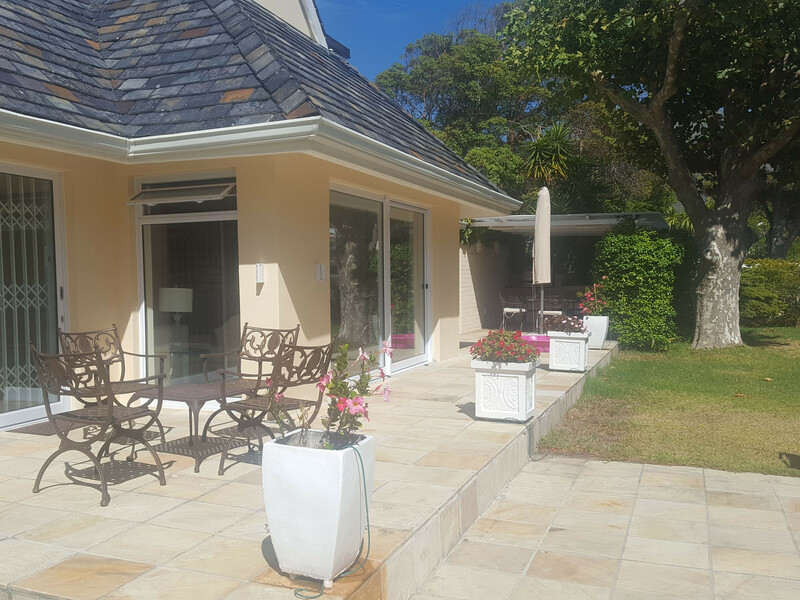 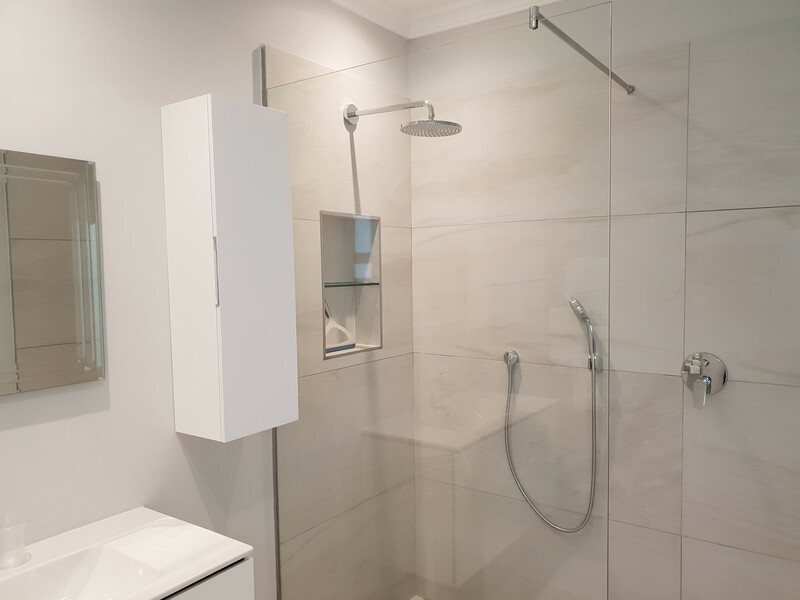 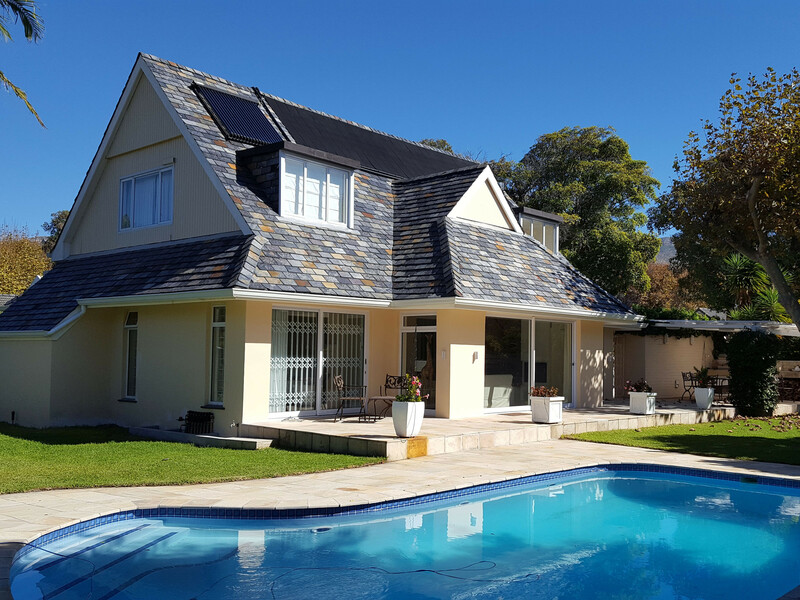 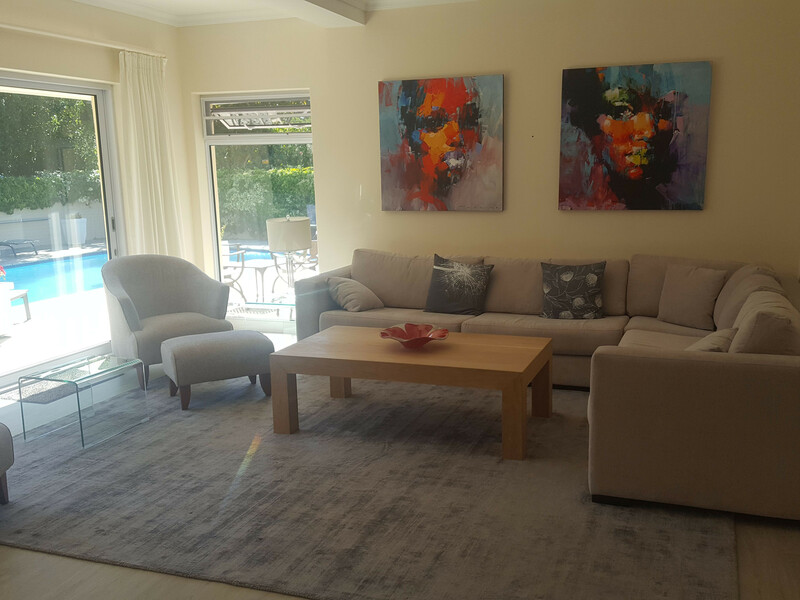 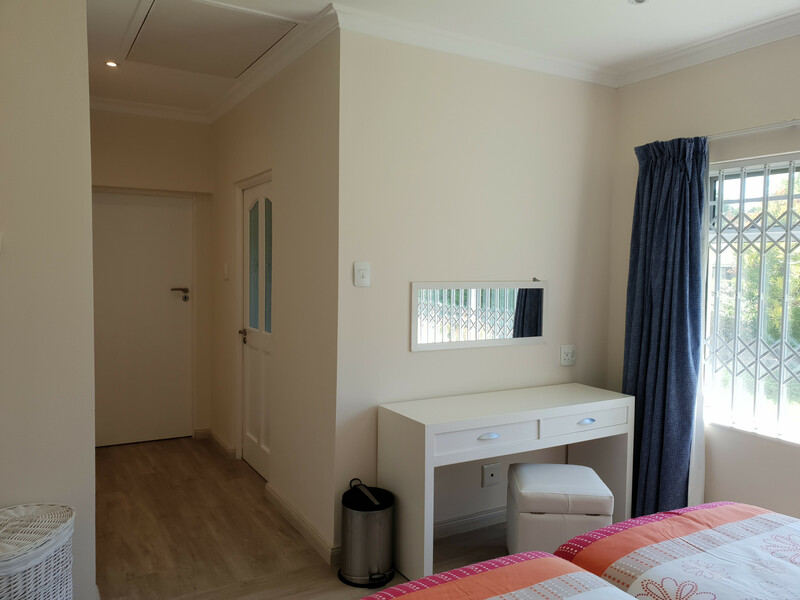 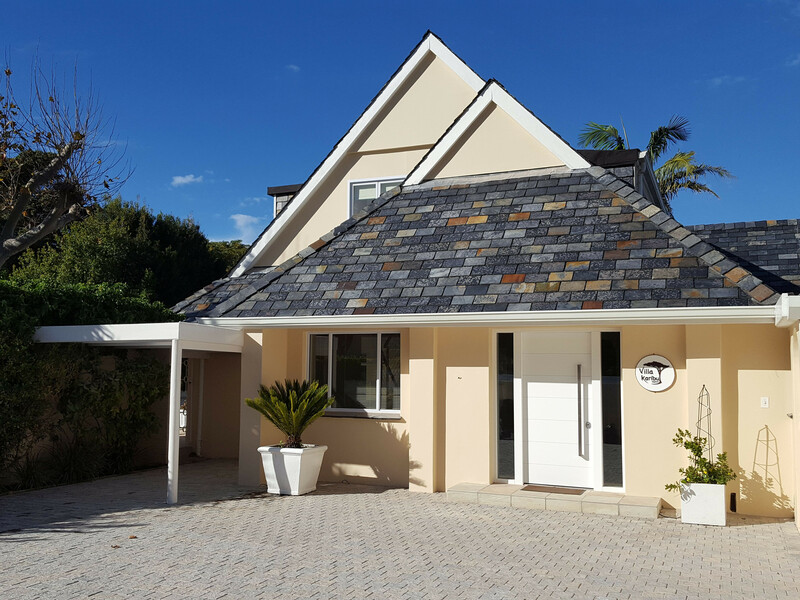 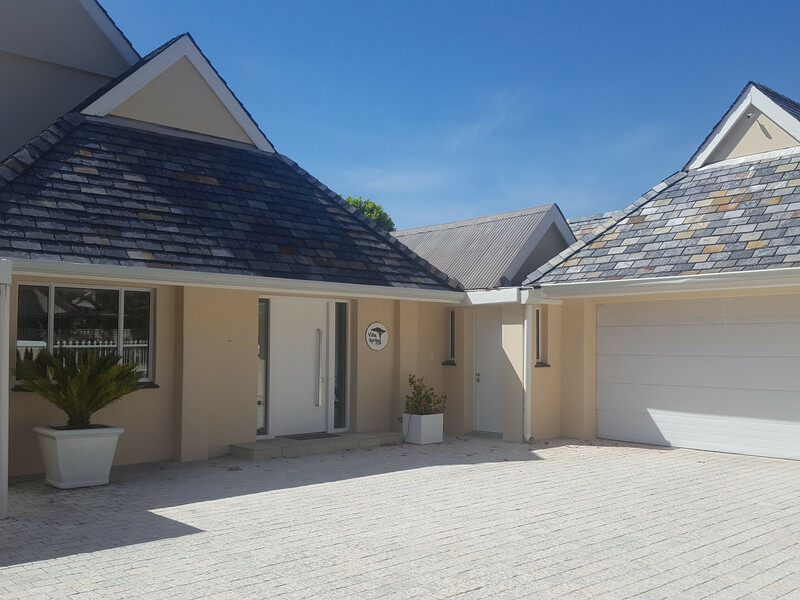 Charming Villa in Tokai, Cape Town, has got a big living room with a beautiful fireplace, fully fitted kitchen open-plan to a nice dining room. 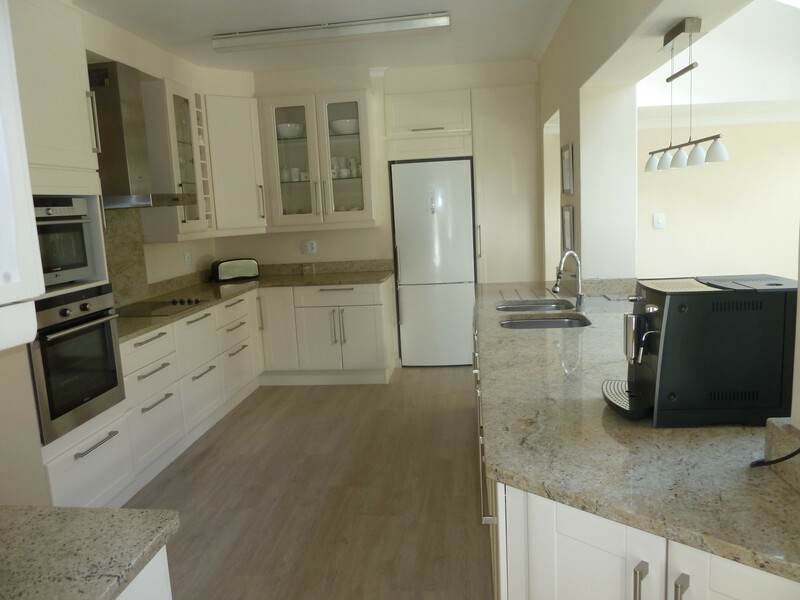 2 bedrooms down stairs, each with its own bathroom, and one add. 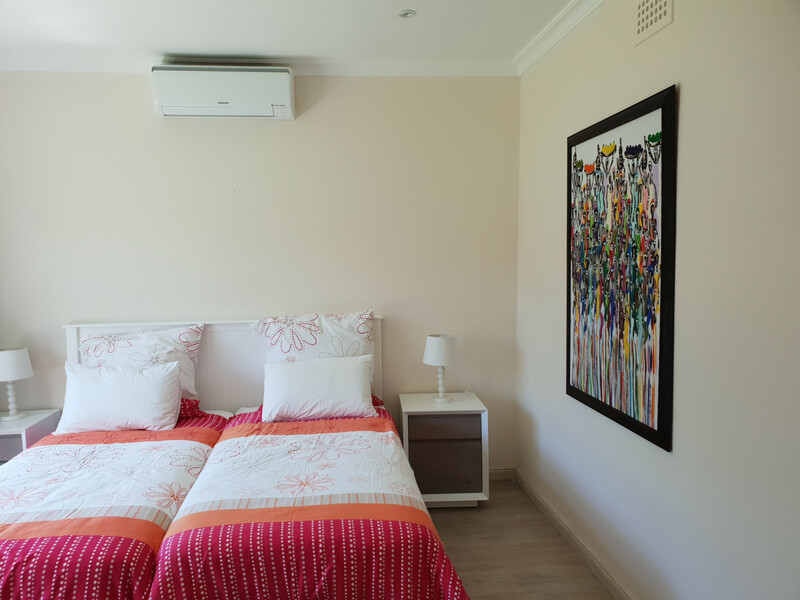 upstairs (no bathroom). 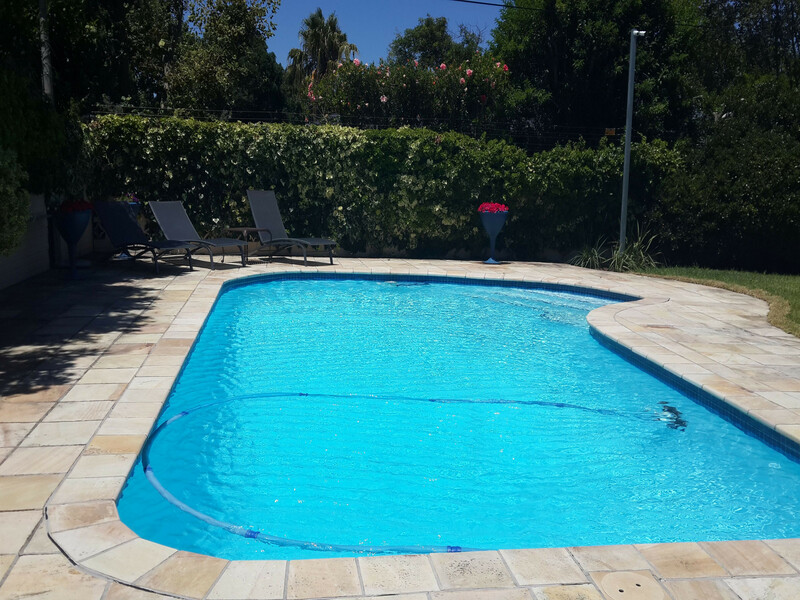 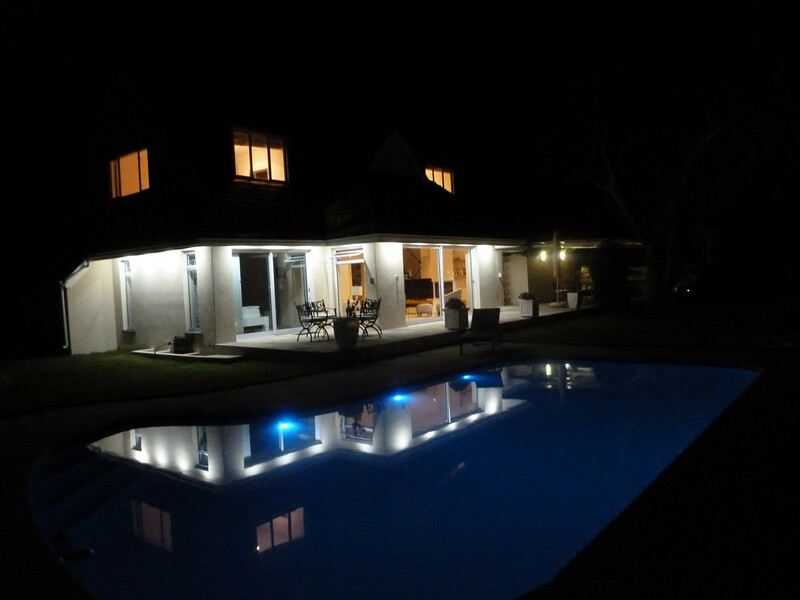 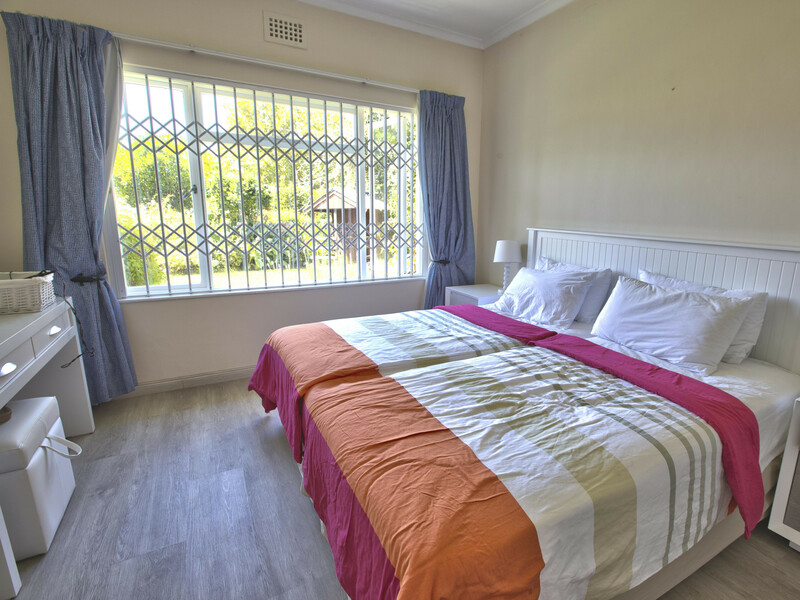 Outside terrace and braai area, surrounded by a wonderful garden with a solar-heated swimming pool.